Youʻre looking for a lens and a frame that perform at the highest levels when a couple of pairs of Randolph Engineering specs fall into your lap. The first is the Sportsman. You try the large, 57mm version with the 140mm stems because, letʻs face it, bigger is better. 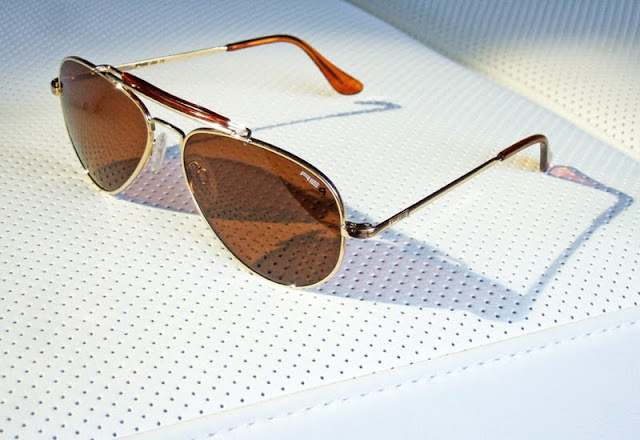 Donning their polarized, caramel-colored milled glass lenses is like safeguarding your precious eyes behind a golden veil. While the world seems less harsh in REʻs classic version of an aviator, you can seamlessly transition from cockpit to cocktails wearing standard issue khakis and these bad boys. Yet, are they your new favorites because of their solid construction, guaranteed hinges, and ballistic plastics, or because they simply look and feel more like "Nice boat, whereʻs your plane?" money than anything else? The second is the Intruder. If you ask yourself in a moment of guilty pleasure, "Is it just me, or do these rugged, featherlight facemakers kick the pants off the other frames Iʻve worn? 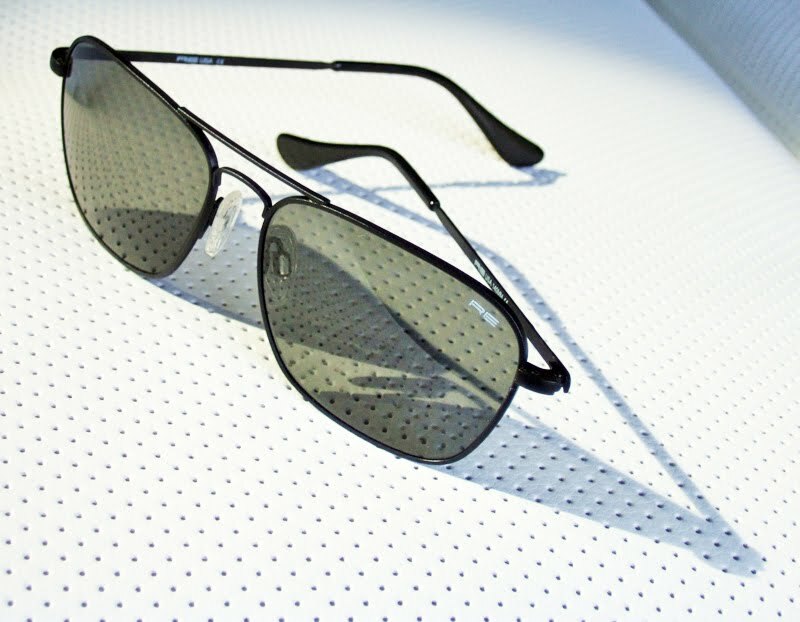 ", then it will probably be because of their richly finished black metal hardware and crisp, dark grey shades. Their timeless styling induces a daydream featuring a Triumph motorcycle and some bourbon with Steve McQueen; itʻs okay, give in to it. Like the Sportsman, the Intruderʻs large 58mm width and 140mm stems are large enough for the burliest man, but can also be downsized for more refined features. Caveat: Although you might not lose them on the battlefield, be careful not to leave these war-tested retina protectors laying about some downtown bar you got dragged to because - who knows? - without your luck and a friendly barmaid, these killers just might fall into the enemyʻs hands.